Ocean Potion Sport Sunscreen SPF 50 offers protection from UVA I, UVA II and UVB exposure to help keep your skin safe from the sun's harmful rays. 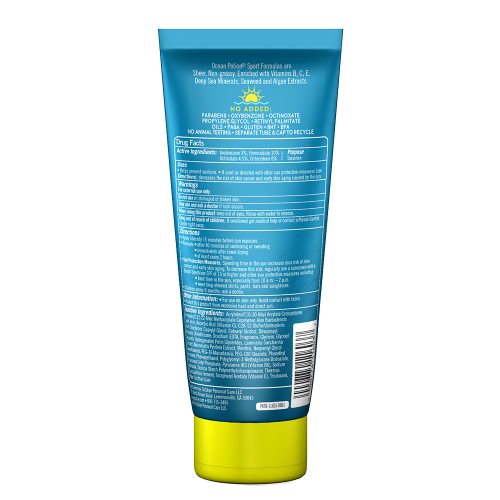 The water and sweat resistant formula makes this sunscreen perfect for lifeguarding and all outdoor sports. Meets FDA regulation for "Broad Spectrum"